It's almost the end of January...how time flies! I've been busy catching up from the holidays and travel, but wanted to share with you a little peek into my new art.journal.PLAY live stream workshop series. The first four weeks are all about PLAYING with acrylics and building colorful backgrounds on the canvas. We had our first live streaming workshop on Wednesday and it was fabulous! I love teaching and demoing live...my students get a peek into my studio and can watch me create art in real time, ask questions and PLAY along in the comfort of their home. In the first live workshop, we talked about a plethora of mixed media supplies, I shared a tour inside one of my art journal. I demoed various ways to use Golden High Flow Acrylics, including adding lettering with a pointed pen. I created multiple painted pages in my journal and showed various ways to build layers on the page with some of my favorite mark making tools like hot glue stencils, handmade printing plates and various refillable markers and bottles to use for painting. Not only do I share lots of ideas and inspiration during the live stream sessions, every week students receive a PDF workbook full of art journaling & mixed media creative prompts and journal fodder. The exercises are meant to encourage you to PLAY in your art journal, even if it's for only 10 minutes. Along with the art journaling workbooks, I share additional HD videos with step-by-step demonstrations of building layers on the pages and peeks inside my art journals. Throughout the twelve weeks, I'm also doing pop-up live stream session, where you can join me while I journal. These aren't scheduled for any particular time, I just turn on the camera and invite you into my virtual studio. We're heading into the fourth week of the workshop series..lots more colorful mixed media lessons. Coming up, we'll be painting Soulful FACES, working with creating acrylic skins, collage and during the final month we'll explore binding handmade journals. You can still join in art.journal.PLAY live steam workshops and PLAY along! All the videos and live stream workshops are available for self guided study 24/7! take just 10 minutes out of your day to make marks or brush paint onto your canvas! 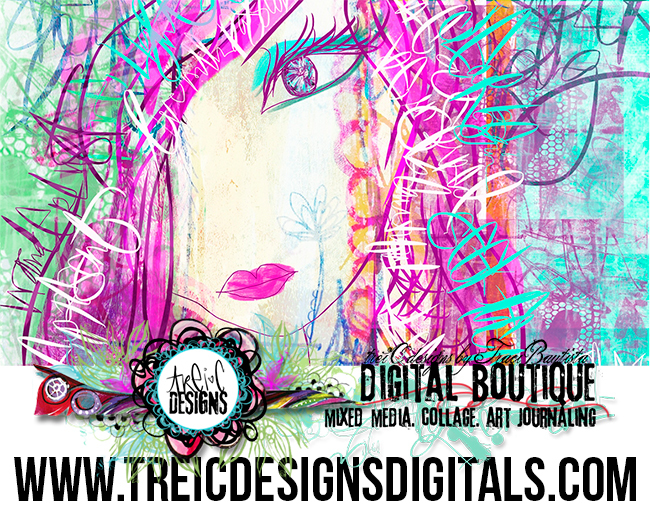 12 weeks of creative inspiration + art journaling workbook PDFs. WORKSHOP DESCRIPTION | *art.journal.PLAY is a mix of inspiration, creative prompts, LIVE online video demos, Q & A, printable workbooks and online community. 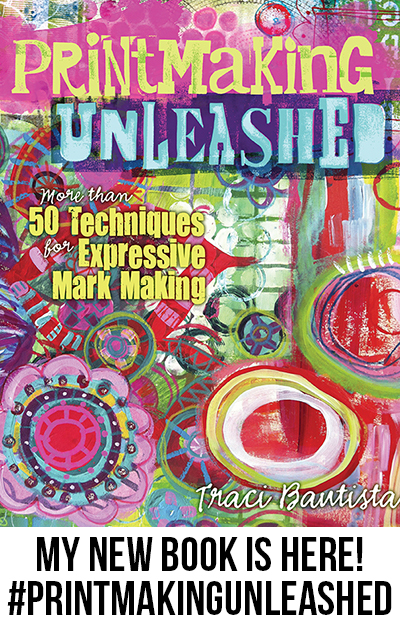 Starting in January 2014, I'm launching a brand new three month online program that includes three LIVE steaming classes, HD mixed media video lessons and PDF workbooks to inspire you to PLAY in your art journal or sketchbook and explore mixed media. CLASS FORMAT | Art journal inspiration posts and colorful workbook PDFs will be delivered via private classroom every Friday for twelve weeks. The exercises and ideas in the art journaling PDF workbooks include colorful photos, creative ideas, quotes, printable art journal backgrounds, papers and journal fodder. PLUS...I'll give you a peek inside my art journals through video tours and share step-by-step mixed media demos during monthly LIVE online classes, streaming HD video broadcasts from my studio. All videos and class content have forever 24/7 access in a private classroom. All videos & PDFs are available to be viewed on most smart phones and tablets with a wifi connection. acrylic explorations is all about creating colorful backgrounds working with Golden High Flow paints and various mark-making tools. we'll explore printmaking+ lettering+ patterns. explore creating transparent acrylic skins with paints and mediums, building layers, drawing and painting faces. workshop #3 ~ march 22, 2014 ~ paint.bind.stitch. this class is filled with journal making ideas, handmade journal samples, painting demos & tips for creating fabric art journals. 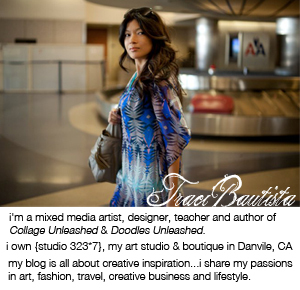 join in the creative journey! !